Sometimes we get asked to do a new project, sometimes we chase it. The first approach definitely means a more straightforward ‘brief > proposal > work’ trajectory… but that second one can be pretty interesting too. I had this bee in my bonnet about working for a local plumbing firm – and I had long-admired the bold logo of My Plumber Man who had been based in Putney for around ten years. 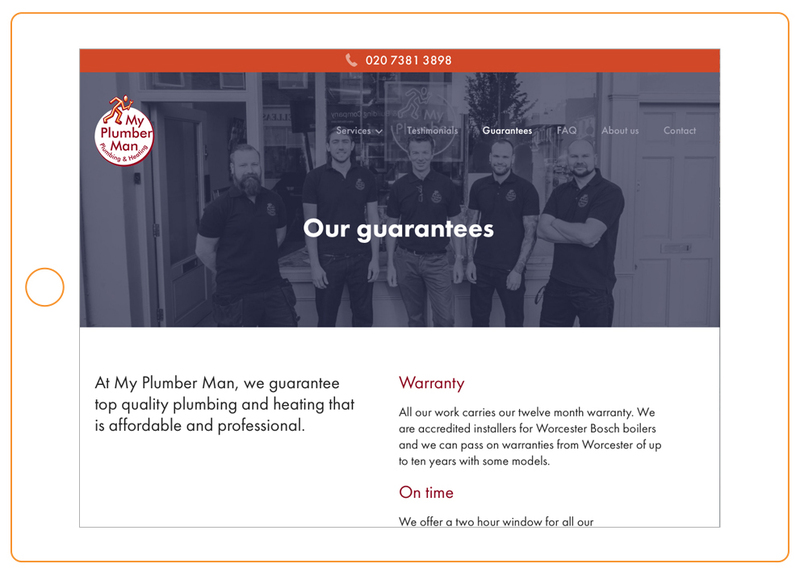 When they recently moved to Munster Road in Fulham, I dropped by and had a go at persuading Rory, the MD, to commission a new website. 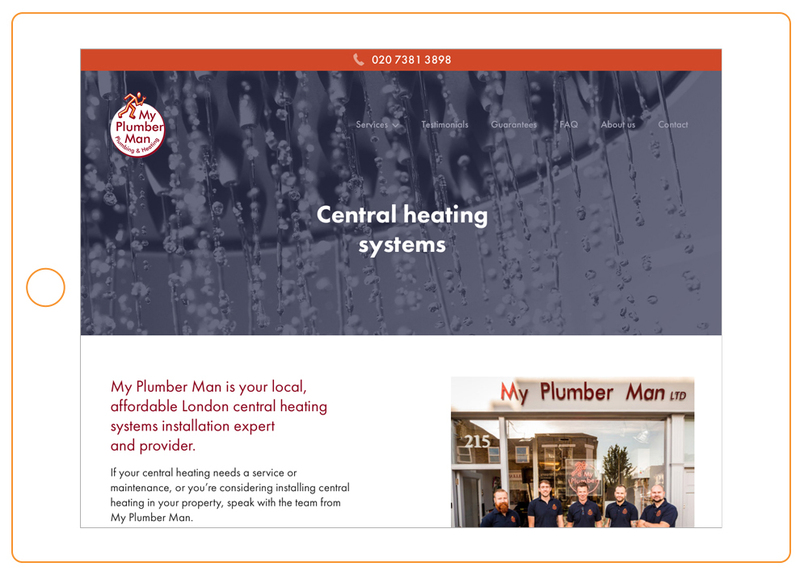 It was this summer, when work was more manageable and he had more time on his hands to focus on a project like this, that he agreed to go ahead – and so our great London plumbers web design project began. Every time we begin a new website, we figure out the final aims of the project and who the company wants to speak to. 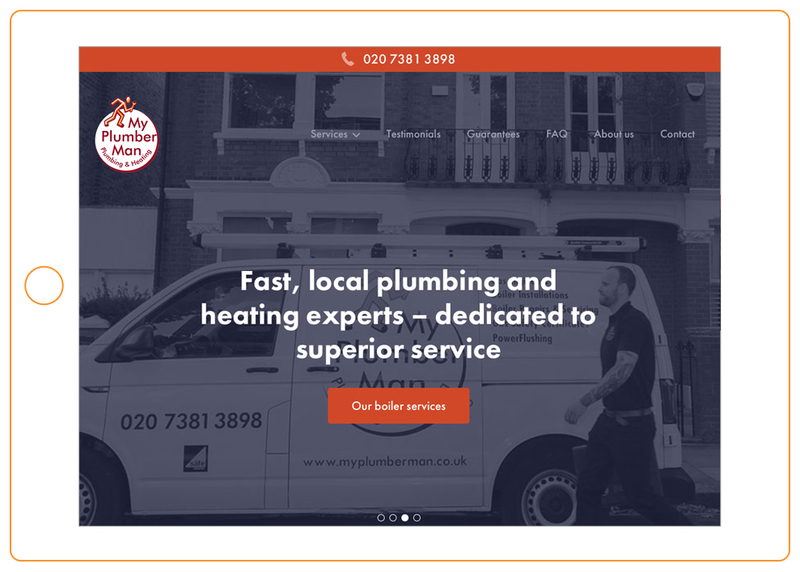 For My Plumber Man it was pretty clear: a west London plumbing firm has an incredibly broad remit. and most importantly, needs a trustworthy company to call in case something goes wrong. A broad market, and a pretty tidy place to start. 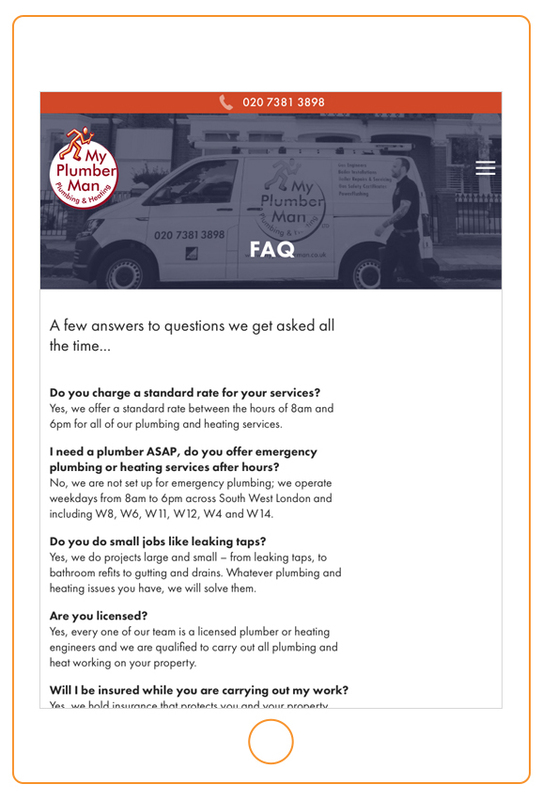 As a result, our new site for My Plumber Man was designed to cater to each, with pages covering all their key areas of work in a way most likely to be successfully read by search engines. One of our favourite features is how the site is built around their customers – old and new. In particular Rory proposed using home-made video testimonials. It’s a first for us and we think it’s a great idea. Our firm belief is that websites should be ongoing projects that are under occasional review as time passes – and certainly react to the changing needs of customers. The idea here is that most businesses have to adapt and change, whether it be to an evolving customer base, changes in technology or even the cyclical changes of the calendar. All our bespoke-design sites have a customised WordPress editing facility to amend copy on the fly. So that covers an awful lot of bases. 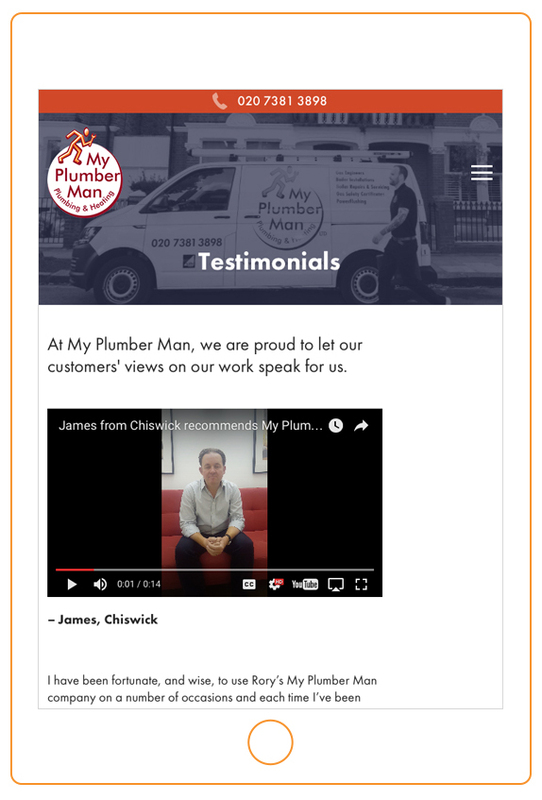 However our new site for My Plumber Man leaves plenty of scope for new features in the future – such as online chat or a blog. If you’ve never commissioned a new website, don’t worry – you aren’t the only one. We work with first-timers almost every time and can structure the project so it seems manageable and works for your business. Making a plan is a first priority, but overall knowing what you want to achieve is the main thing. These objectives can be simple (‘we want to be easily findable’; ‘our current website is rubbish, we need a new one’) or more nuanced (‘we offer the latest technology, but our old site is dated giving us the wrong look’). understand the scope of the project – how many pages will it have, what will they be? know your audience – how best to speak to them and who would write the words? set aside a sensible budget and balance that against achievements – might a new website sell product much more than its cost, ensuring it pays for itself quickly? COULD YOUR PLUMBING BUSINESS BE NEXT? If you run a small plumbing business, we’d love to hear from you. With the winter season fast-approaching, now is a great time to consider a marketing push to your client base, ensuring they remember you, wherever in London or the UK you might be. For a background to this project, take a look at our portfolio page and the new site itself.